What makes this class so powerful? If you are interested in learning about how to get started making money actively or passively from single family & multi-family rental properties and apartment buildings then you will love this event. At this class you’ll be introduced to our time-tested systems and processes featured on the TV show 'Flip This House' on A&E. Learn techniques and strategies that can be implemented and managed on a part time basis. Learn how investors utilize a little known strategy that has the potential to earn between 12 and 18% returns, that is backed by real estate and the federal government. Learn the language of a professional investor. Gain understanding of terms and techniques to build your knowledge so you can speak confidently with real estate agents, brokers, lenders, and other real estate investors. Than Merrill has over 14 years of professional experience in the real estate investment and lending industry. He is the founder and principal in several residential and commercial real estate investment companies and has been involved in over $750 million dollars worth of transactions during that time frame. His companies currently manage between 25 to 40 ongoing real estate development projects at any given time. Through his education company, FortuneBuilders, he's been able to share his knowledge and passion for real estate with thousands of aspiring investors. 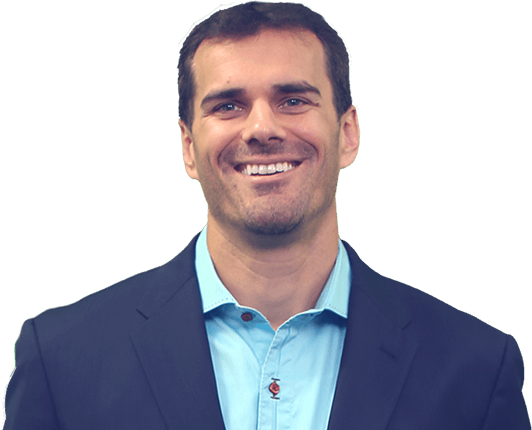 As a graduate of Yale University and a former NFL player, Than attributes his success in sports, business and investing to coaching, education and systems. Than is married and has two children. Just a few months ago I attended Than Merrill's training event and since then I have sold two properties, have six properties that are under construction right now, and three more under contract. We're real estate agents, and while we've made a living at it, we weren’t passionate about it. Well, we went to the event. It really gave us the confidence to do a wholesale deal. We put it under contract, found a cash buyer. What you said really works! Than I just wanted to thank you for everything you have taught me. I learned some killer strategies for finding deals that allowed me to get started investing in Real Estate without needing money. My first year alone, I flipped eight properties because I had such consistently good deals to make offers on. I used to worry about money all the time and now that burden has been lifted. I'm spending time with friends and family, and life is amazing. I have a business that my wife and children are proud of. We going into neighborhoods and being paid to fix up properties. I'm building a legacy for my wife, my children and my grandchildren, and I'm doing something that I absolutely love. I don't believe there's any other conference, or event or seminar series where they give you as many tools and give you the confidence and the backing to go do this for yourself and be successful. There are so many people from every walk of life that are doing deals, and being successful. Going to the event boosted my confidence and showed me the steps that I can take to get educated. It motivated me to actually get started in the business. Once I did that, I took off from there. * Results may vary and are not typical of every individual. Than Merrill is a real estate investing expert who has bought and sold hundreds of properties. Than Merrill's real estate success is not typical. Most people who attend this introductory free event do not apply the strategies, techniques, and systems and therefore make little to no money. The students above are NOT paid for their stories, however they have invested in optional training materials and support programs offered at the free event. Any income or earnings depicted are not to be interpreted as common, typical, expected or normal. This particular result may be exceptional and the variables that impact results are so numerous and sometimes uncontrollable that we make no guarantees as to your income or earnings of any kind. Your success is not guaranteed and will based on your effort, determination, education, and market conditions. Send text reminders for this event. By providing my mobile phone, I give express written consent to FortuneBuilders to call and send text messages using automated technology for upcoming events and reminders. Consent is not a requirement to attend.